We have exciting news. After the past few busy weeks, we are thrilled to announce that from August onwards, all passengers flying on American Airlines will travel with "My little Madrid personal love Affair". 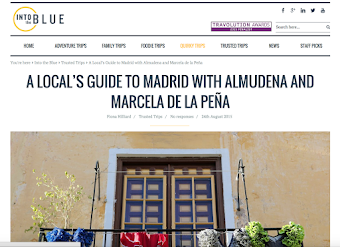 This guide will be available on screen for all domestic, European and Latin American flights. It all started with a call from Ink Global, their travel media entertainment production company. They were interested in collaborating with us for a documentary about Madrid. 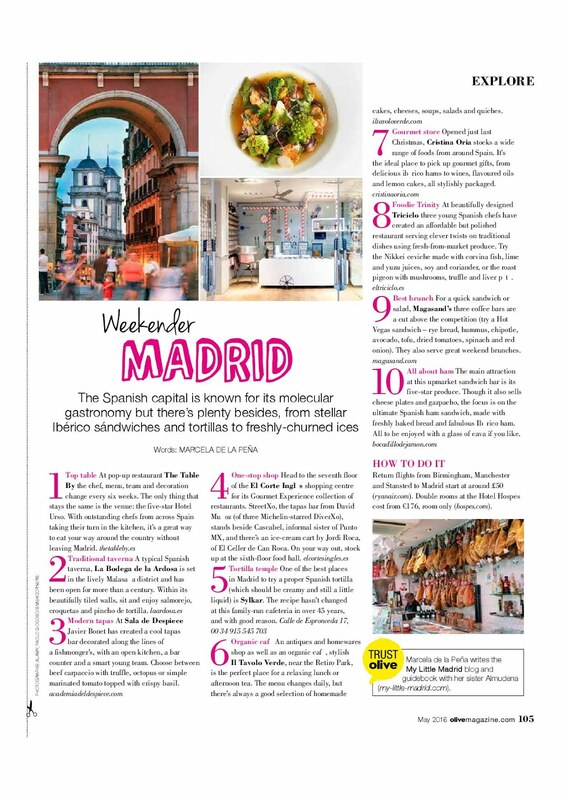 Two weeks after they called, a lovely team from London came to produce it, with the task to film the selection of the best food venues in Madrid. It was difficult to choose from all the excellent places we like but at the end the crew could only film six places. Market San Anton with its rooftop. La Ardosa an old typical tavern. Media Ración Cuenllas, modern but at the same time traditional restaurant. Bocadillo de Jamón y Champagne, an innovative concept for traditional "bocadillos". Cristina Oria, a new and stylish restaurant and delicatessen shop also included in the tour. Hotel M, a great cocktail place specially during sunset time. 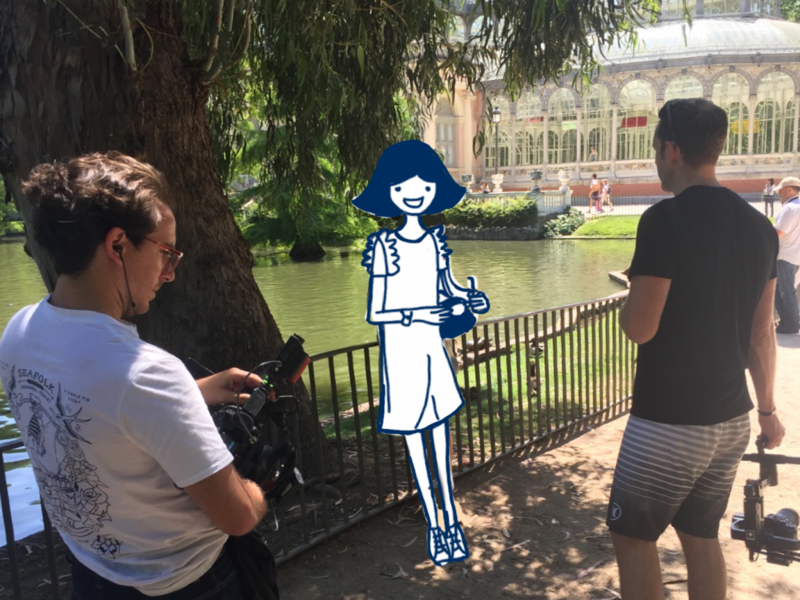 We also had time to show the Retiro Park to the crew and a very nice filming was made.We cannot wait to see the final product! Thank you, Lauren, Deborah, Ben and Adam, for you time and work with us in Madrid. Thanks Guille Zamora for final post text editing! it has been my ride back to the United States from Europe several times of late, most as of late flying in American Airlines economy class from Madrid to Philadelphia. While I missed the business class situate I had on my past experience on board this plane, I can really say that the A330 is right now one of my most loved planes to fly on in any class of administration.